Spring is in the air and that means it's time to begin sprucing up your yard. RDA makes it easy for you to purchase beautiful plants at a great price! Early Bird Sale begins Saturday, April 6th from 8am - 2pm. 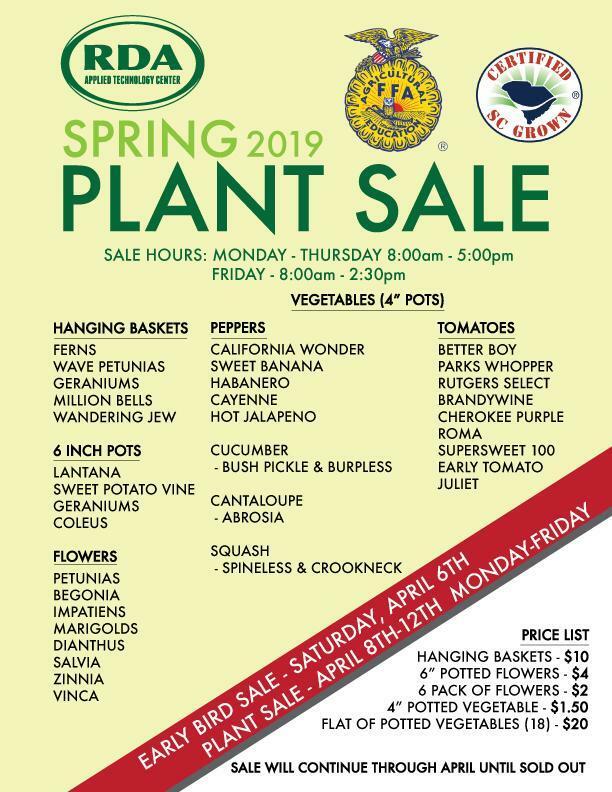 Plant sale begins Monday, April 8th and will run until we are sold out. Please see our flyer for further details!